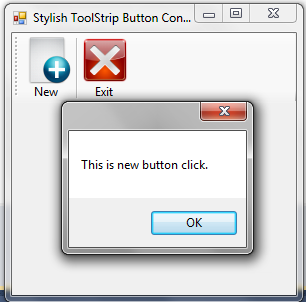 This article will show you how you can use a Stylish ToolStrip Button Control with Image and Text Control In Windows Application Using C#.Net. This will show the image with large image. Some of my previous articles are as follows: No of Days Between Two Dates By Using TimeSpan In Windows Application In C#.Net and VB.Net, Validate Directory Exist or Not in C#.Net In Windows Application, Image Save In XML and Load XML Bitmap Image File in Windows Application Using C#.Net, How to Save Record in XML File and Read XML to Display in DataGridview Using C#.net in Windows Application, How to Add HyperLink and Retrieve Row Value on Link Click in DataGridView #, Windows application, How to Add Button Control and Retrieve Row Value on Button Click in DataGridView Using C#.Net, Windows Application, Save Panel with Control Inside It as Image C#.net, VB.net in windows application, Confirmation Message on Button Click and Capture YES/NO Click by User in Windows application, C#. 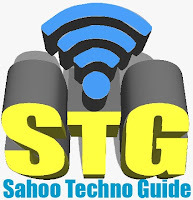 So for this article first I have created a new windows application. 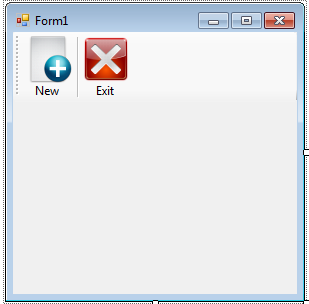 In this form add a tool strip control. Now add a button on tool strip control and select the image. After selecting image your form control will look as shown below. Now for making it stylish I will make some property changes. First we will select image. After selecting image it show only image, for displaying text also we will set property DisplayStyle. 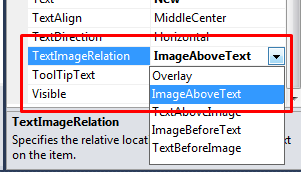 Now for putting image above the text we will set the below property TextImageRelation. After setting it’s showing small image, now we will set property to make the image look more visible. For this we will set property ImageScaling. 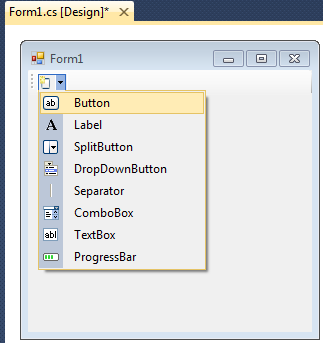 After setting all the properties your form control will look as shown below. Now we have done. Now we will add click event on button. Please check the below code.